This post has been highly requested, and I’m finally getting around to writing it! My review of the Goyard Artois MM (which is the larger of the two Artois bags). 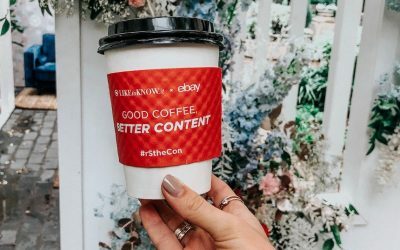 Can you share background/education about the brand? I’m pretty clueless! Goyard is a French brand specializing in trunks and leather goods. 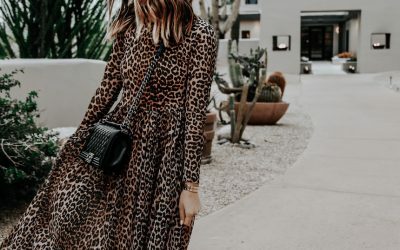 You can read about the history here, and PurseBlog has an amazing article that will probably answer any question you have about the brand. I don’t own a Neverfull so I can’t say exactly how they compare, but personally I prefer a Goyard tote to a LV tote. I think they are both great options, this is just personal preference. Why did you choose it over the Saint Louis? I originally chose the Artois over the St. Louis because I loved that it had a zipper and reinforced corners. However, after using it almost daily for the past few years, I just purchased the Saint Louis (yesterday!) in another color as a birthday gift for myself ;). If you’re trying to decide between the two, I would base your decision on whether or not you want it to have a zipper and more structure, because that is the main difference (IMO). The current price for the Artois MM is $2245. I feel like this is up to you! Is any designer bag actually worth the price? Probably not lol. But if you asked if I am happy with the bag for the price, the answer is yes. I love this bag and have used it nearly every day for the past few years. How much does it cost to have it monogrammed? That’s another great thing about the Artois – they offer free monogramming on this bag. 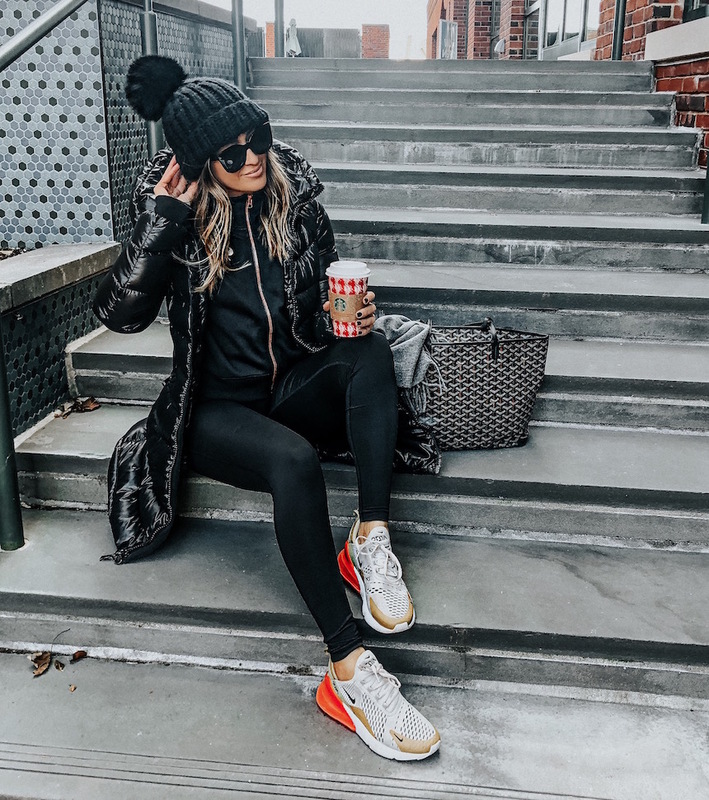 There are several locations you can choose to monogram, and I chose along the zipper so it’s kind of hidden – a fun detail. The Saint Louis is expensive (and takes a long time 6-10 weeks!) to have monogrammed because they send it away and it has to be hand painted (and they charge per letter), where the Artois can be monogrammed in store. Don’t get me wrong, I love the hand-painted monogramming, but love that the Artois is free to customize! 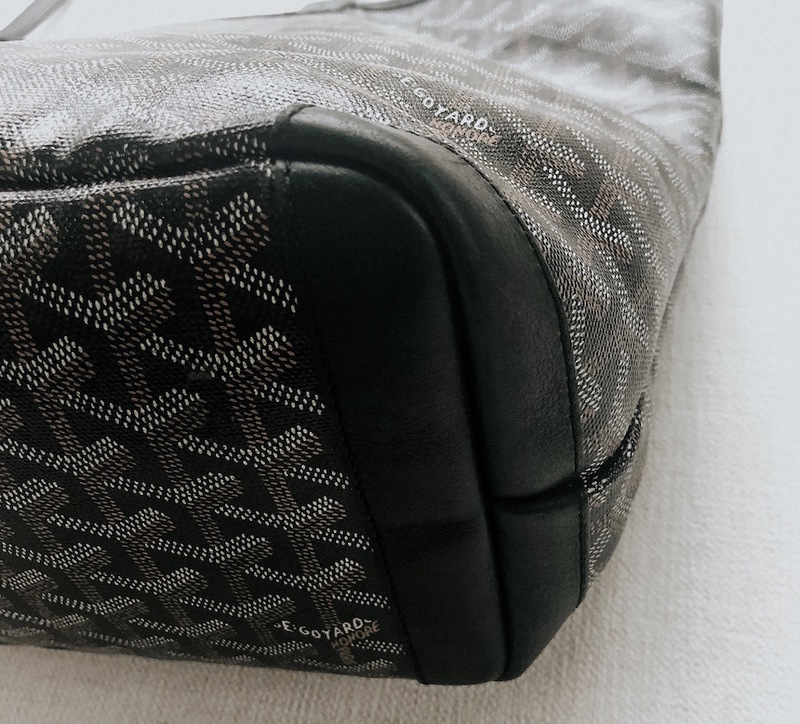 Where can you actually purchase Goyard bags? I purchased mine at the Goyard store on 63rd in NYC. You can also purchase at Barney’s (uptown) and Bergdorf’s. If you’re not close to New York, you can check their store locator. You can also find them on Fashionphile (some are pre-owned, some are new) if you want to purchase online. How did you choose the larger one over the smaller one? The smaller one is pretty small! It doesn’t fit over your shoulder, and was much smaller than what I needed/wanted in a tote. I can fit my laptop, folders, and much more in the MM! It’s a really good size. Is it true that if there are plastic (like packaging/protection before you purchase) on the handles, it’s fake? I saw one on eBay, but the handles had plastic on them. No, this is not true. I’m not sure when or how this rumor was started (or maybe Goyard changed the way they store their bags in recent years? ), but this is false. 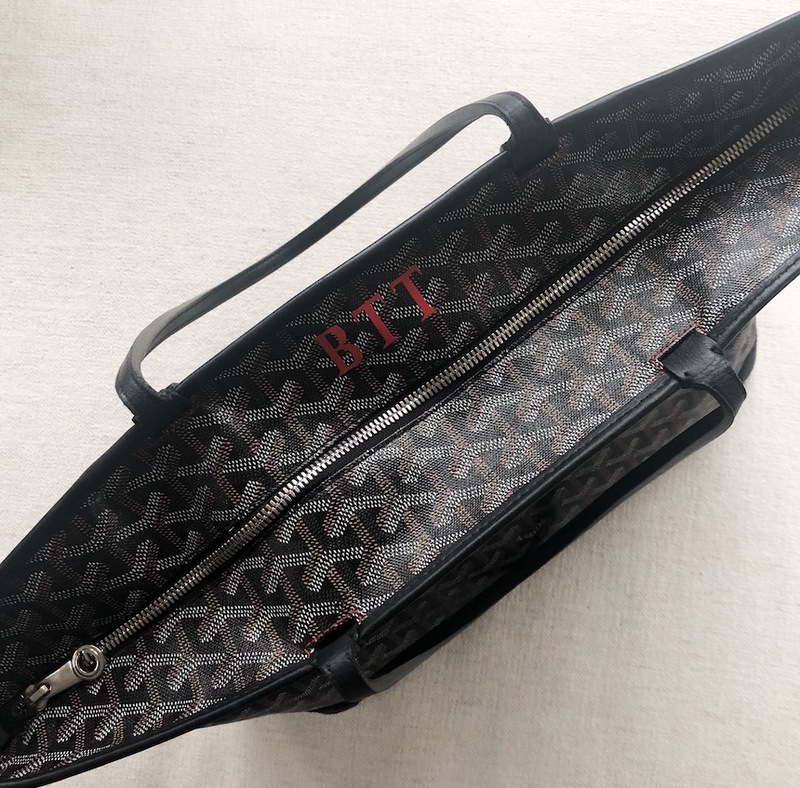 I’ve purchased from the Goyard on the Upper East Side and Goyard inside Barney’s and both times the handles had plastic on them. However, if you are buying on eBay just make sure the seller accepts returns in case! Does the Artois keep its shape better than the Saint Louis? Yes. The bottom is flat and the corners are reinforced so it can stand up on it’s own. I love the look of the slouchy Saint Louis also, though. Yes – the Artois is very durable because the corners are reinforced, and the canvas is thicker than the St. Louis. So far, I have not had any issues with durability. I spilled coffee allll over mine the other day in my car and it wiped right off. Would you ever recommend buying a used one? Yes! As long as it was in good condition! I’m on the waitlist to get this as a baby/diaper bag. Am I crazy? No, I don’t think so at all! 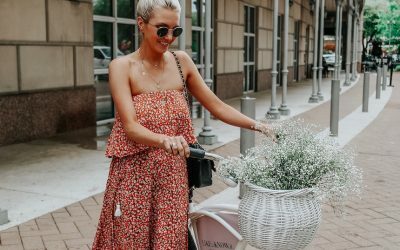 I always used a bag/tote as a diaper bag, and this is something you can keep beyond baby! You could buy an interior organizer like this one which would make it a great baby bag. 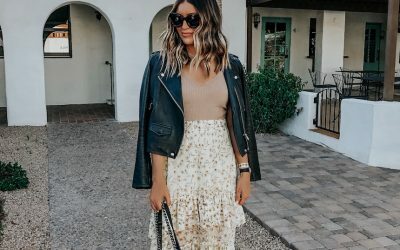 Can you link some similar/cheaper options that aren’t fake/dupes? Yes – this bag (love all the color options! ), this one (great quality), and this one are great options! 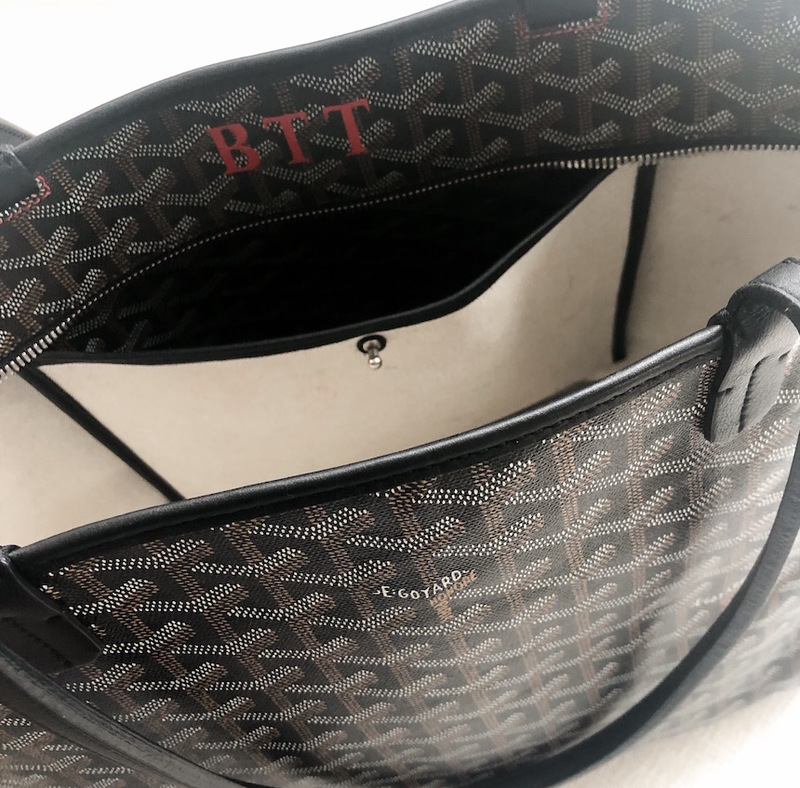 Great quality, but a fraction of the price of Goyard. 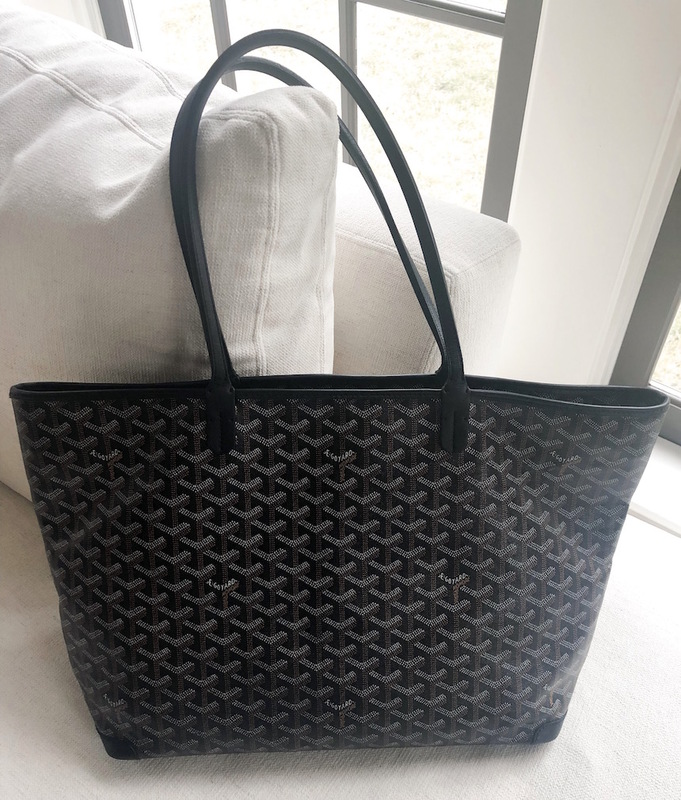 I bought my first Goyard Artois in January and absolutely love it too. I’ve used it on 4 business trips and it’s the perfect carry on. You must really love this bag and brand if you’ve bought two. I’ve done the same with my MaxMara Whitney—I now have 9. Wow, I am such a bag fanatic and I have never even heard about this brand! Thanks for sharing this! That tote really is beautiful and what a cute element that you are even able to monogramm it for free.